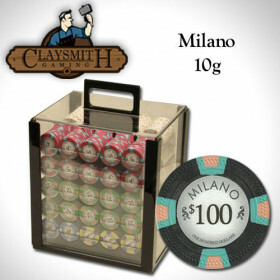 Stop playing with pennies and upgrade your home game with this high quality set of poker chips from Claysmith Gaming. 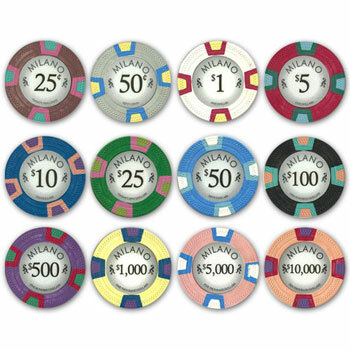 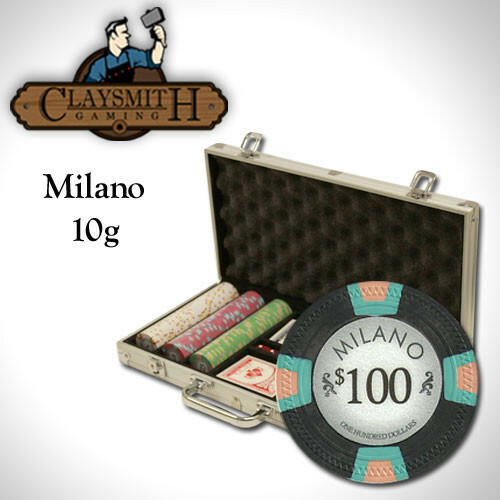 These 10g clay composite poker chips have the true look and feel of true casino chips at a great price! 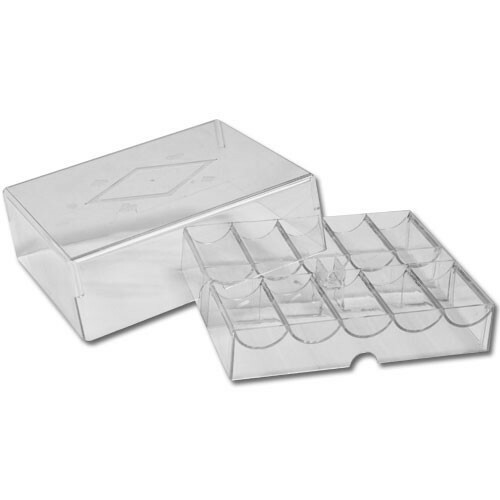 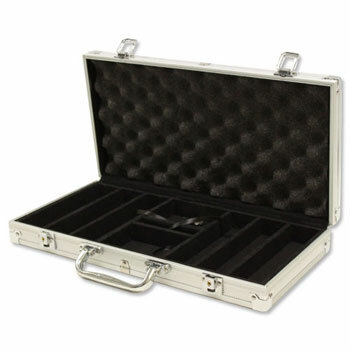 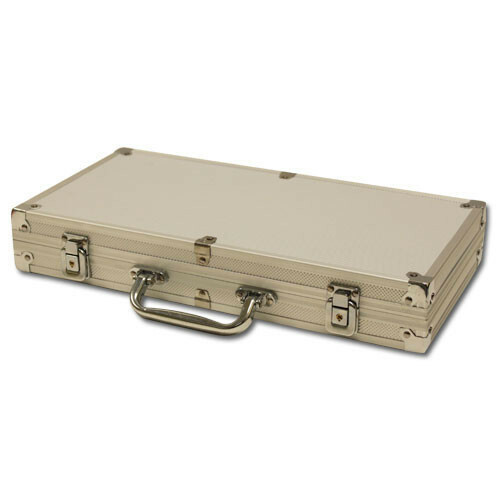 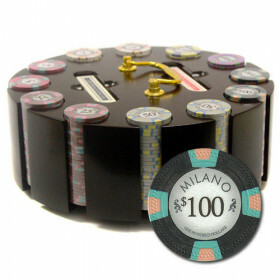 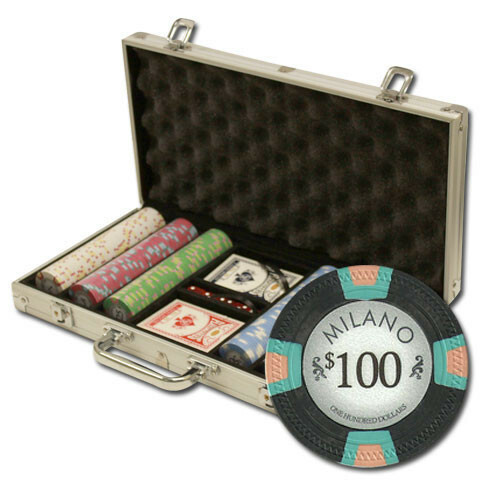 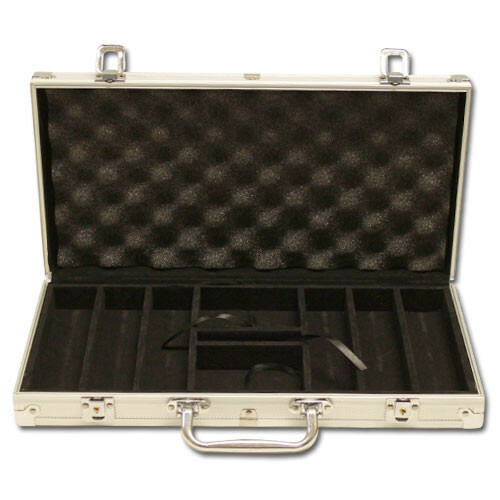 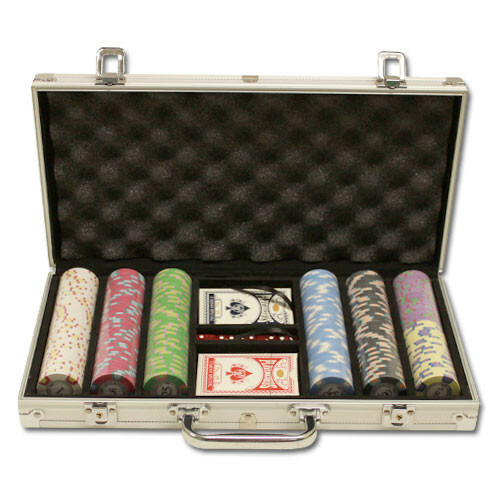 This set includes 300 Milano poker chips in an aluminum storage case and comes with 2 decks of playing cards, 5 dice and a free dealer button to take your game to the next level. 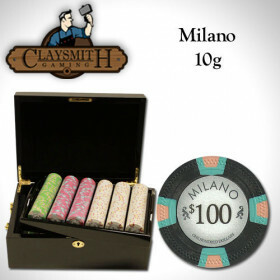 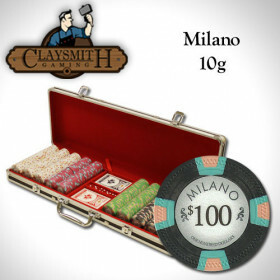 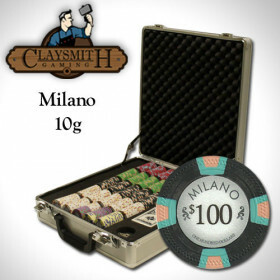 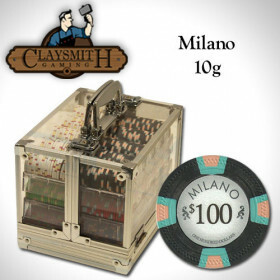 300 Claysmith Milano clay composite poker chips, 2 decks of playing cards, 5 dice and a free dealer button.